Pictured SWR Honda makes first appearance with eye-catching chrome livery. SWR Honda makes first appearance with eye-catching chrome livery. 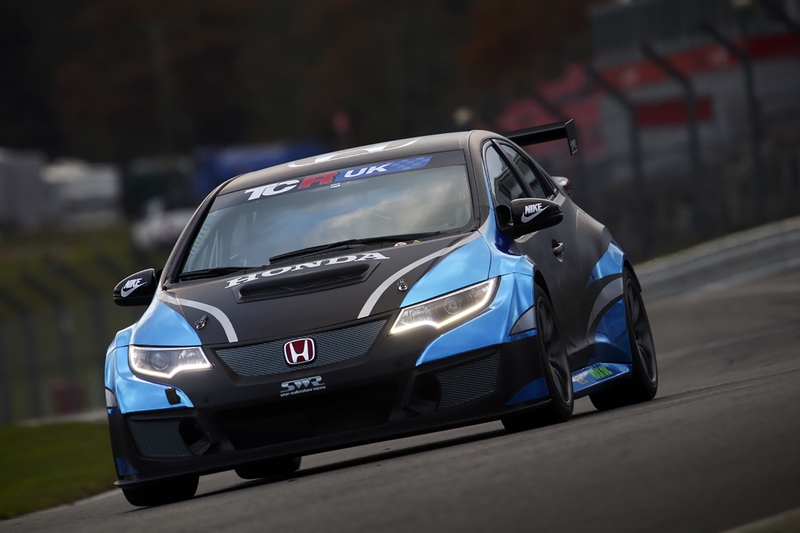 Honda Civic squad SWR continued its strong preparations for the new-for-2018 TCR UK series at a cold but dry Brands Hatch Indy Circuit on Wednesday, 29th November, where the Oxfordshire team formed part of an impressive line-up at the Kent venue. 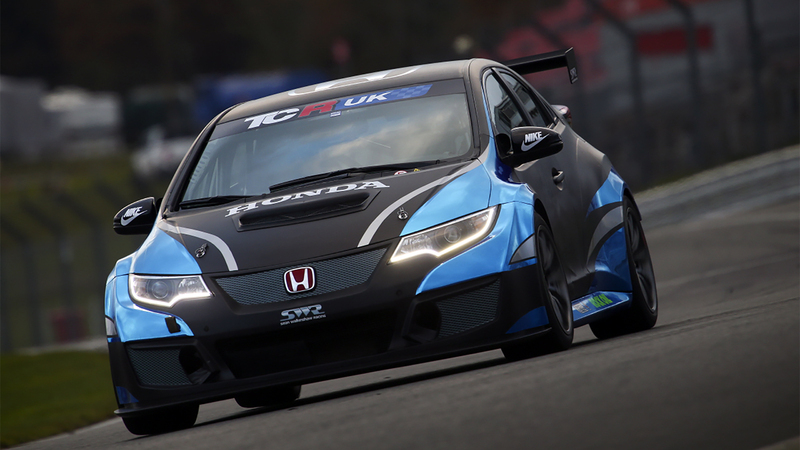 Revealing its eye-catching blue chrome and black livery for the first time, the Chipping Norton outfit’s JAS-built Honda Civic Type-R again ran like clockwork throughout the ‘demo day’ which was organised to provide prospective drivers with a chance to find out more about the TCR UK concept. Seven manufacturers were represented in total, with the likes of Alfa Romeo, Audi, Hyundai, Opel, SEAT and Volkswagen all present at Brands Hatch along with Honda. SWR, of course, will be making its first foray into touring car racing in 2018 in TCR UK with a pair of Honda Civic Type-R racers, the team’s second car is due to arrive in January. “We had a good day of it, very productive, and it was a good advertisement for the championship ahead of next year”, commented Ken Page, SWR team principal, “Everyone at TCR UK looked after the teams and drivers well and it was fantastic to see so many manufacturers there, it shows the popularity of the category already. Brands Hatch will host the third event of the inaugural TCR UK season over the weekend 2nd/3rd June. SWR will begin its maiden season in touring car competition on home ground at Silverstone on 31st March/1st April ahead of a visit to Knockhill in Scotland on 12th/13th May. Following the mid-year trip to Brands Hatch, the championship moves on to Castle Combe in Wiltshire on 14th/15th July, Oulton Park in Cheshire on 4th August and then Croft in North Yorkshire over the weekend 8th/9th September. The championship finale will take place on 13th/14th October at Donington Park in Leicestershire. Drivers interested in testing opportunities or race seats in TCR UK with SWR in 2018 are invited to get in touch with team principal Ken Page on 0845 4020402 or by email to ken.page@walkinshawperformance.co.uk. Team owner Sean Walkinshaw can also be reached via seanwalkinshaw@yahoo.com.